NYK Line is a Japanese firm and a renowned name in the Global Shipping and logistics market. NYK offers bulk shipping and international logistics services. The total fleet includes about 800 vessels ranging from woodchip carriers, container vessels, car carriers, LNG carriers and reefer vessels. The total employee headcount stands at about 50,000, as of 2017.The company’s inception dates back to the late 80’s when two of the biggest shipping companies of the day, Yubin Kisen Mitsubishi Kaisha and Kyodo Unyu Kaisha decided to merge on September 29 of 1885 to form Nippon Yusen Kaisha (NYK). The first fleet of the newly renamed NYK Line Group comprised of 58 steamships. NYK Group mission statement reads "Bringing value to life." For its customers, the Company's mission is stated as "Through the use of our extensive skill and expertise and by considering each business site to be of utmost importance, we always work to create new value so that our customers will consider us a trusted and reliable partner." 1. Market Risk Exposure: The Company assumes the risk involved while transporting freight and also the safety of the vessels that carry them. This is an occupational risk but it has proved costly to the company’s bottom line. The current agreement with ship owners and the company is that the early termination and chartered-in shipping vessels after their service life will be honoured by the company in 3 years. This does not go well for stakeholders, who expect it to be 1 year. 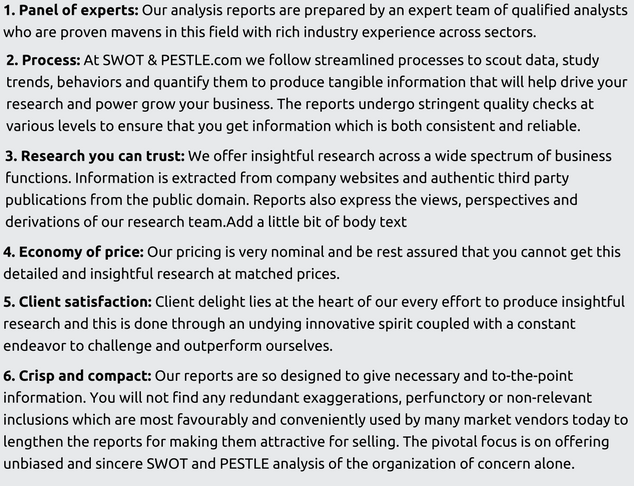 This would cause their investors to leave the company in search of better deals. 2. Fall in Dry bulk and container shipping profits: The Container shipping and dry bulk shipping arms of the company have not yielded sufficient profits due to the volatility and risks involved in transit of such freight. In the middle of April 2018, NYK has come up with a Joint venture with two companies, Kawasaki and Mitsui that is expected to yield 110 billion Yen in terms of profits. This is an attempt to set right the business challenges they faced in this sector by employing the combined clout of all three companies. 1. High Capex Costs: The Shipping and logistics sector has a high capital expenditure associated with it. NYK has been in the industry for 130 years and hence is able to afford the losses and unforeseen expenses prevalent in this industry. This is the reason that NYK is currently looking to dilute the risk by spreading its arms into ancillary services and also repositioning itself as a Logistics firm more than a Shipping firm. In order to counter this threat, NYK indulges in the establishment of roll-on/roll-off (RORO) terminal facilities to directly enable vehicles to drive off vessels reducing the need for lifting equipment. These businesses work hand in hand with their usual maritime automobile transport facility. 2. Overcapacity and Diminished Demand: The global container shipping industry experienced their worst storm in FY 2016.The supply was greater than the demand which upset the economic balance for most companies. NYK Line was also in the line of fire of this misfortune. Their Consolidated pay-out ratio in FY’16 stood at 0%. The bankruptcy of many other major players like Hanjin and others, scrapping of the older vessels that had served their chartered agreement and the delay in the supply of newer vessels helped balanced the scale in FY’17. Currently, the global demand for Container Shipping is presumed to rise by 2-4%. 3. Intense Competition: The shipping industry is rife with competition. The major competitors to NYK are Mitsui O.S.K. Lines who are a major threat in the dry bulk shipping segment. In the car and truck carriage space, K Line has always been a formidable competitor. NYK group, despite its 130 year old heritage and tactical knowledge of Japanese operating principles, is only the 12th largest global shipping company in the world. In order to sustain in such a business environment they have signed numerous MOUs with companies to establish Joint venture companies in geographies they are not present in, so that the profits are shared and no monopoly ensues. One initiative in this regard was the formation of the Ocean Network Express(ONE) which is a merger between all three companies mentioned above. Together, they are the 6th largest shipping company in the world with a 7% market share and 1.4 trillion TEU capacity. 1. European Commission’s decision on Car Carriage: The European Commission levied a hefty fine of 141.82 million euros on NYK Line in February of 2018. This was in connection to the company’s breach of the revised investment permissions and tax fees when transporting cars and truck carriers operating in their territory. The investigation was conducted by the commission suspecting European Union competition law violation. These incidents from the political scenario would affect the employee morale and goodwill of the company in the eyes of their stakeholders. 1. Methanol-fuelled chemical tankers: NYK Line has made sufficient technological advancements to ensure that their vessels are highly efficient in all aspects. The latest development in this respect is a vessel whose engine is powered by methanol, diesel oil or gas oil which takes fuel efficiency standards to a new high. This was a joint collaboration by NYK Bulk ship (Asia) Pte. Ltd and Waterfront Shipping Company Limited that rolled out a long term charter agreement for these vessels in February, 2018. This way the vessel is able to meet the 0.5 percent sulphur content in marine fuel and reduces sulphur oxides emissions by about 99%. 2. Vessel Optimization using Big Data: The buzz word across all industries today is- Big Data. In alignment with their Innovative culture, NYK Line cannot be too far away when it comes to harnessing the power of this technological advancement. The Ship Information Management System (SIMS) is NYK Line’s proprietary system to monitor all real time metrics of a vessel that is on a voyage. It monitors aspects ranging from vessel speed, fuel consumption, inventory levels and weather forecasts. Every vessel, irrespective of its nature is synchronized with this system so that it is able to provide customized information on each unit in the fleet. 3. Digitization and Green technology: In alignment with the Medium term management plan, Digitization and Green technology are at the forefront of changing business operations at NYK Line facilities. Internet of Things (IoT) is fast becoming the go-to solution for all queries related to operational efficiency and process excellence in the shipping industry. In February of 2018, NYK Line, MTI Co. Ltd. and NTT Data Corporation came up with a testing of a novel IoT platform on board a vessel that will collect data and send it to NTT DATA’s ANYSENSE IoT platform to assimilate and derive meaningful insights. This will help remotely monitor on board applications of the vessel at sea while operating from offices on land. 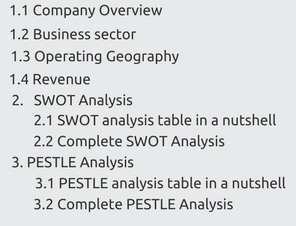 NYK Line SWOT and PESTLE analysis has been conducted by Rohit John Kurian and reviewed by senior analysts from Barakaat Consulting. 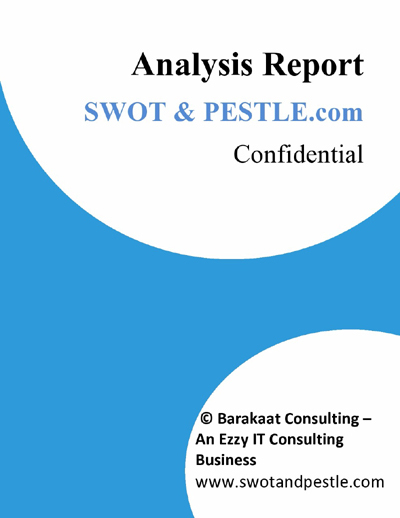 Copyright of NYK Line SWOT and PESTLE Analysis is the property of Barakaat Consulting. Please refer to the Terms and Conditions and Disclaimer for usage guidelines.